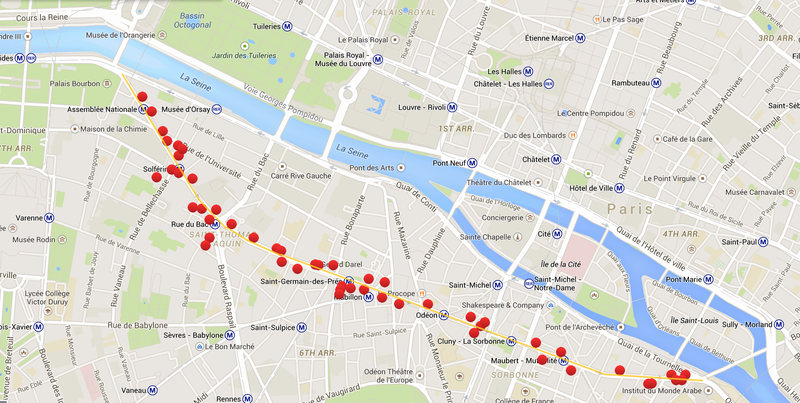 Shopping in Paris during the 19th century evolved between several arrangements of stores. 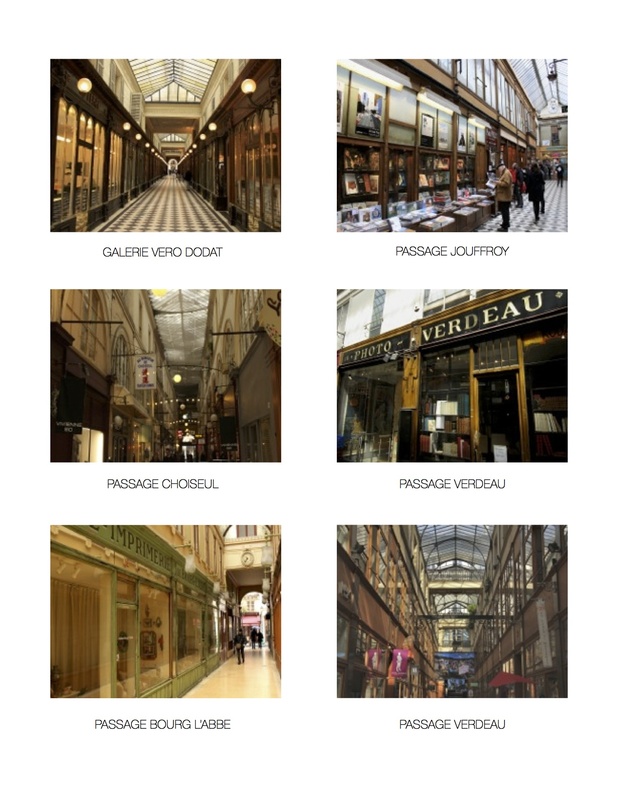 It began with passages scattered mostly on the Right Bank, and glass-roofed corridors that act as connections between streets and provide access to shops. 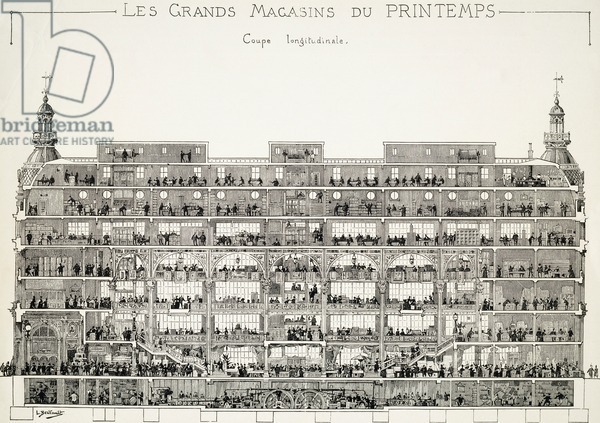 Larger civic monuments emerged later—such as Le Bon Marché (1869-1872) or the Grands Magasin de Printemps(1865) on Boulevard Haussman. Soon people would visit Paris from around the world to shop, especially during exhibitions of 1855, 1867, 1878, 1889, and 1900. In the case of Le Bon Marché, the art deco-inspired Hotel Lutetia on Boulevard Raspail was built to accommodate clients travelling to Paris to shop at Le Bon Marché. 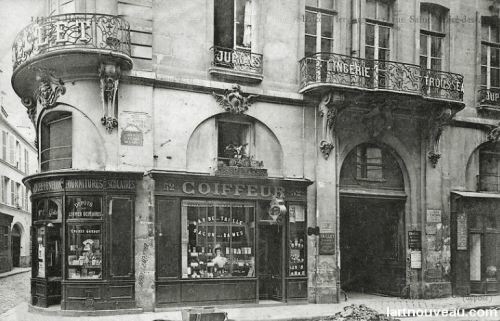 Les Passages Couverts: Haussmann’s renovation of Paris during the Second Empire in the 19th century brought economic growth to France. It was also this time when passages couverts were formed. Some of these are enclosed by glass roofs, forming a shopping arcade. 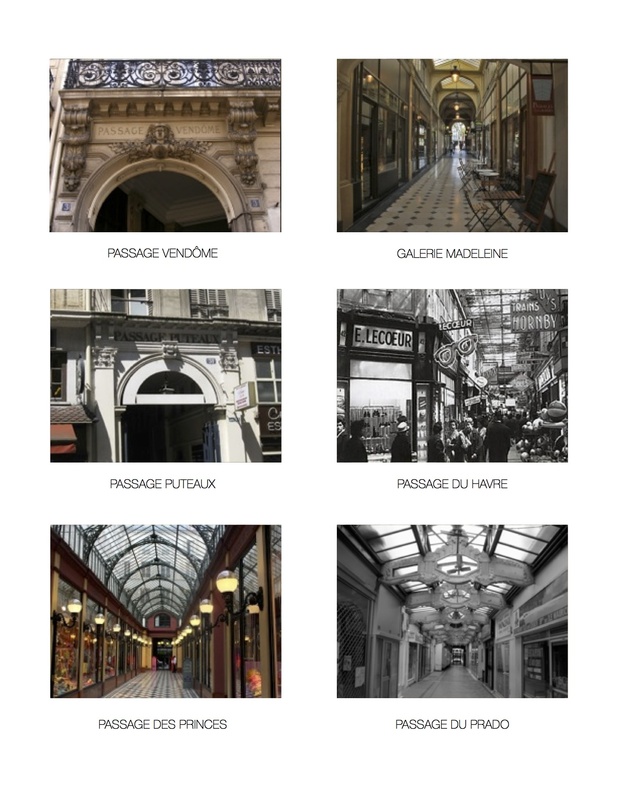 The emergence of shopping arcades created a new form of spectacle in 19th century Paris amongst the early days of theatre. 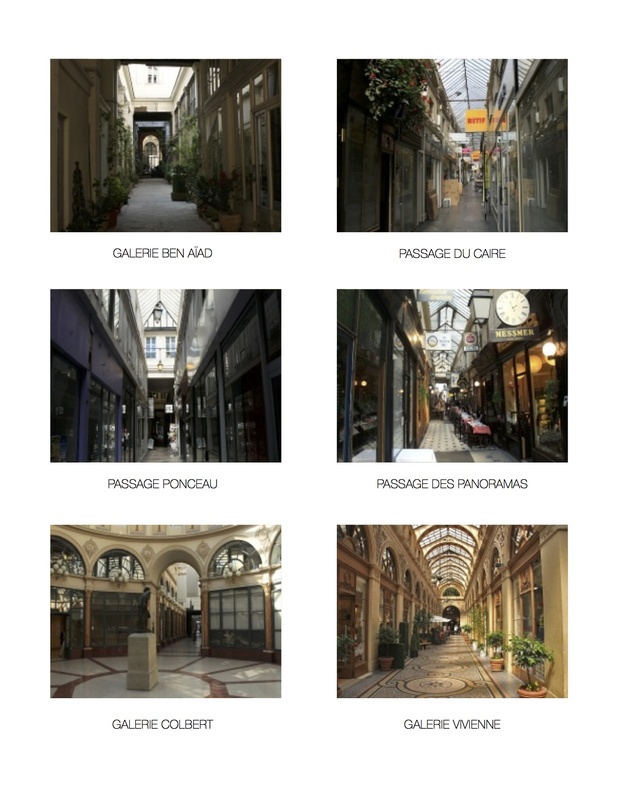 These were spaces for idling, window shopping, and observing art, perfectly describing the French verb flâner, meaning to stroll. 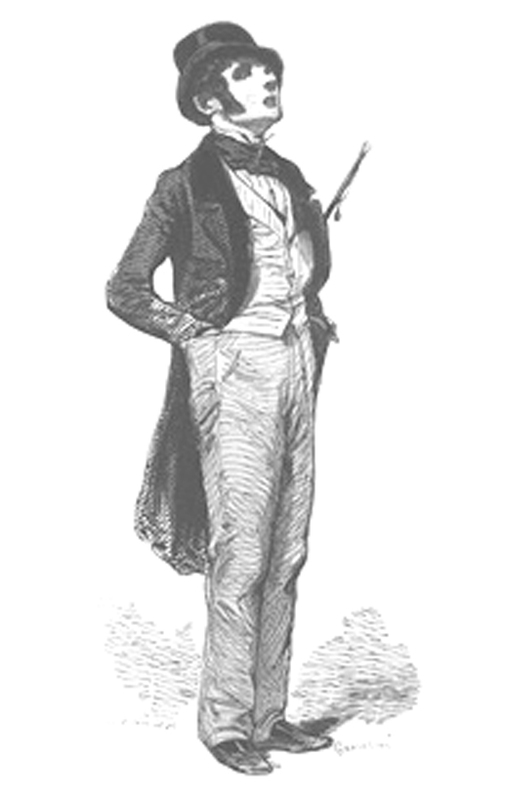 With its derivatives flâneur, meaning a stroller, and flânerie , the act of strolling, became very connected with this urban space. Amédée Kermel a commentator in 1831 wrote that the shopping arcades are “a shelter from showers, a refuge from winter wind or summer dust, a comfortable and seductive space to wander through”. These passages are perhaps one of the ideal spaces for a flaneur. 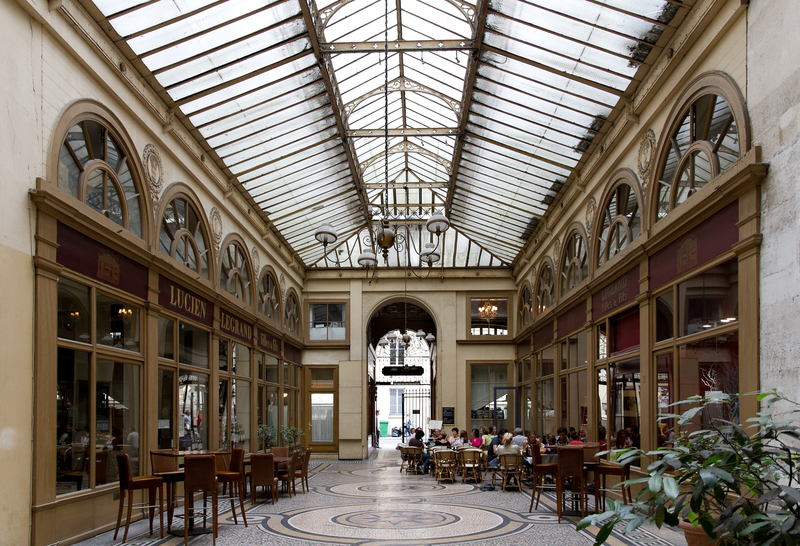 The passage is a place of light, meetings and purchases, centred on the right bank, where the crowd was large between the Grands Boulevards and the Louvre. These are highly decorated spaces which are highly frequented by the affluent at the time. Luxury should be apparent in its architecture, the style of its boutiques, and the goods they provide. In the Mid-19th Century, the construction of passages was pushed aside and a new shopping sensation was introduced: The Department Store. The purpose of the department store was to house a variety of merchandise under the same structure. These are organized and agglomerated in different apartment, guiding people easily to what they needed. 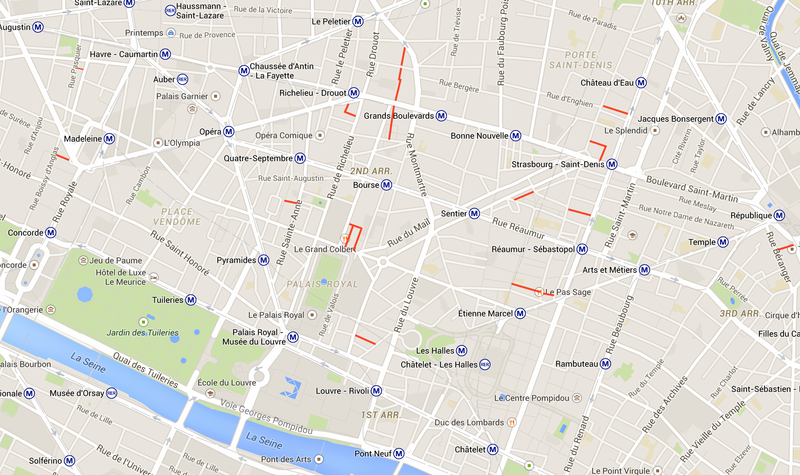 Shops on Boulevard Saint-Germain presently. Pendery, David. 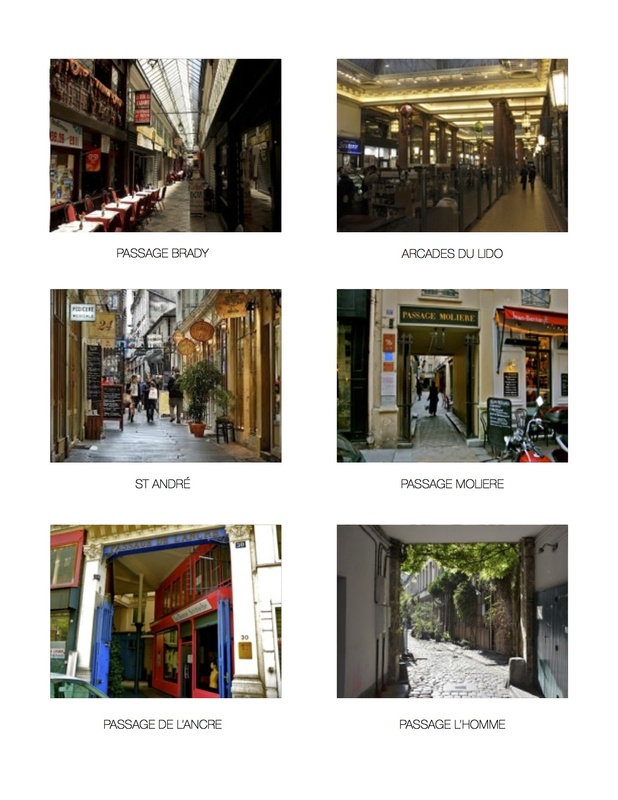 “Covered Arcades of Paris.” David Pendery. Accessed November 21, 2014. http://www.davidpendery.org/arcades/.